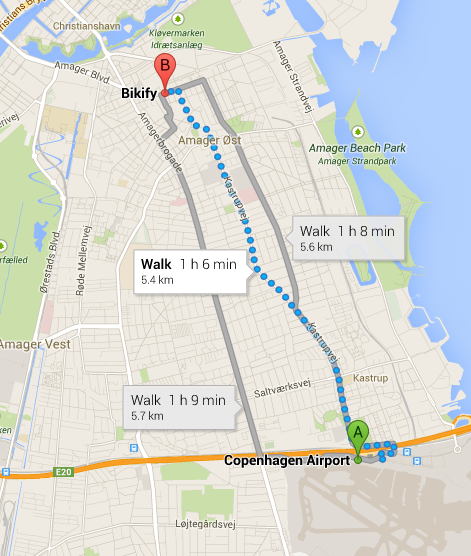 The distance is around 6km, you can take the bus that will drop you there faster, or you can walk and make it in 1hr. This is the full route in Google maps. Not the answer you're looking for? Browse other questions tagged bicycles denmark copenhagen cph or ask your own question. Can I book a flight a month before, at the airport? How to find bicycle parking in Taipei?